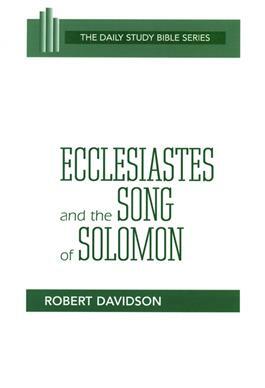 Fascinating, surprising, challenging--these are among the words used by Robert Davidson to describe the two books covered in this commentary. The book of Ecclesiastes concerns the ultimate meaning of life itself and reminds us that we can be happy even amid uncertainty. The Song of Solomon invites us to an exploration of love that reminds us of God's unending care for the world.